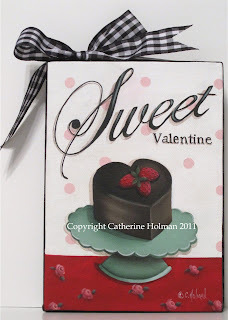 A heart shaped chocolate cake is frosted with a decadent chocolate ganache and topped with juicy red strawberries. 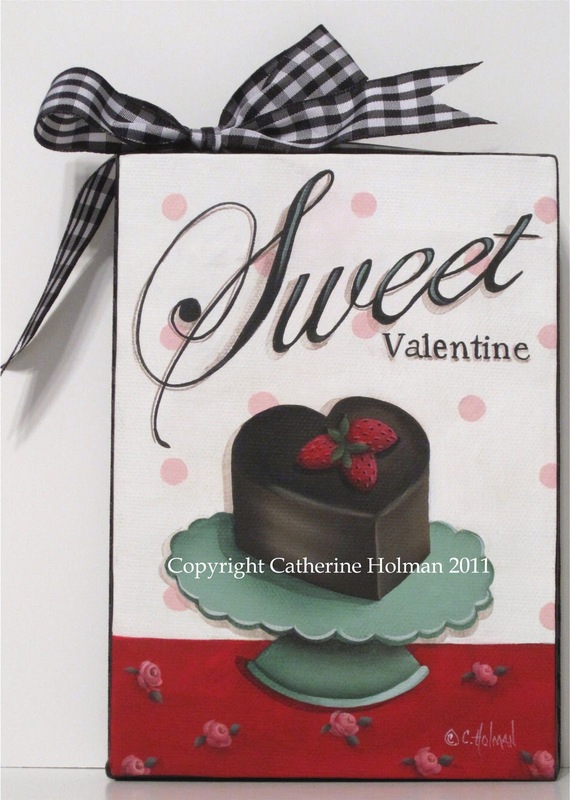 What a lovely gift for your "Sweet Valentine." 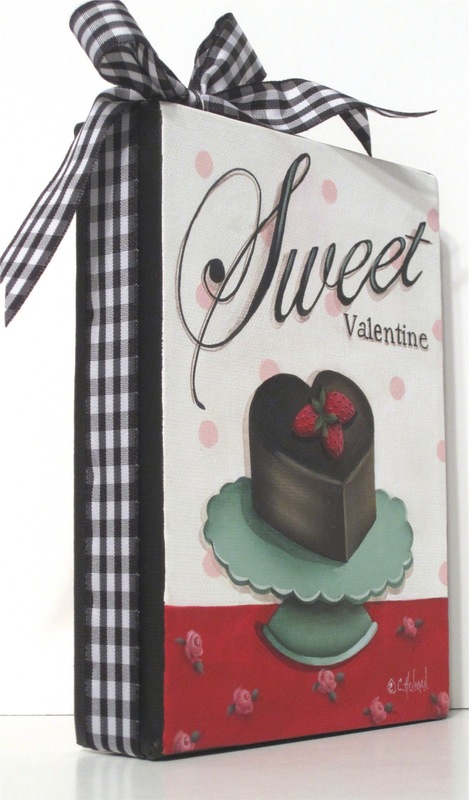 A black and white checked ribbon is wrapped around the edges of the canvas and tied in a bow at the top. Valentine's Day will soon be here. How do you celebrate? Your paintings are good enough to eat! Cathie, I just love your paintings!! They do look good enough to eat-LOL!! I agree with Miss Sandy...your picture made me crave chocolate :) Love the checkered ribbon along the edge...just perfect for Valentines Day. I hope your day is a good one. So cute, Cathie! I celebrate with chocolates! For me it is : keep the flowers and hand out the chocolate ! Dear Catherine, I feel so honoured to welcome you as a reader of my blog. You are allways a great inspiration for me. Hi Catherine, ow, I love this painting, it is so wonderful. Ready for Valentines day. Oh you have some of the most lovely folk art!! I love folk art. What gorgeous pictures you do of cupcakes. These are just wonderful.